Last weekend was super fun. The weather was scorching which makes for pretty pictures with clear blus skies. 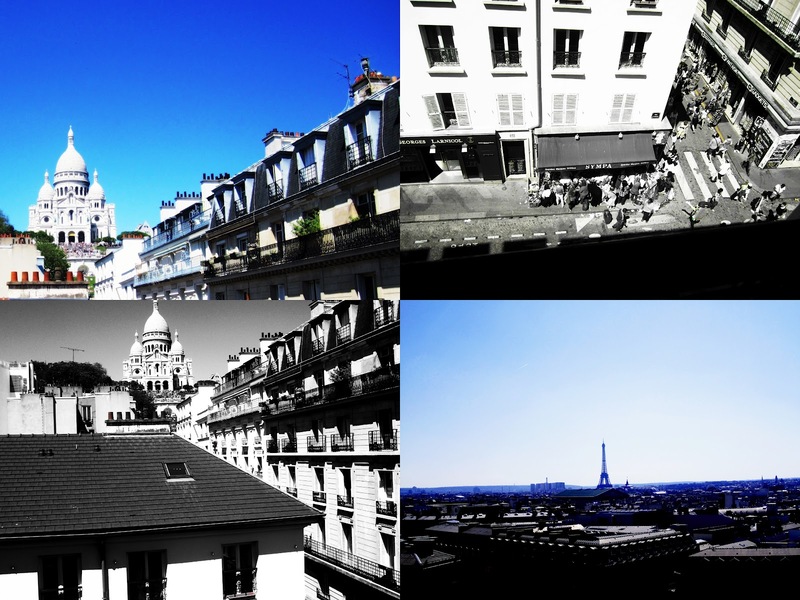 The first set of photos are taken from my room, the next from the garden on top of Gallerie LaFayette and the third set were taken outside the Louvre. These are followed by some snaps from the Louis Vuitton/Marc Jacobs Exhibition which is currently on in Les Arts Decoratifs - it is definately a Paris must-see! It starts off with the Original LV trunks and suitcases, then the second floor showcases looks from the last few LV Collections - courtesy of Marc Jacobs. There are some to-die-for clothes and heels and of course some outrageous bags! Loved it! We ended a hard day's shopping & sightseeing with a couple of beers at Trocadero, chilling out & watching the Eiffel Tower light up.